How to reset a forgotten password. If you have forgotten your password, you can reset it via email by clicking here. 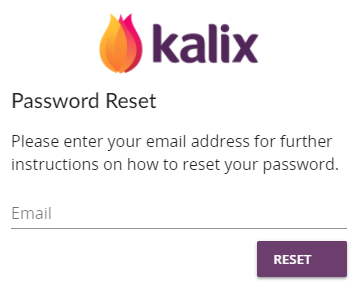 On the Reset Password page, enter the email address you use to login to Kalix. Click Reset. email and hit Submit. You will be taken to a page containing a message with the instructions to check your email. 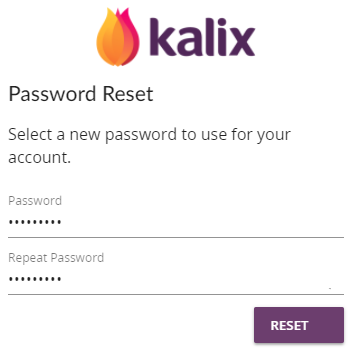 In your email account, look for an email from Kalix (support@kalixhealth.com). Click the link within the email message. Important note: If you sent yourself multiple reset password emails, only the most recent one will work. Links from early attempts will not work, so make sure you're clicking the link from the most recent email! After clicking on the link, you will be brought to the site and asked to change your password. You will then be logged into Kalix. If you sent yourself multiple reset password emails, only the most recent one will work. Links from early attempts will not work, so make sure you're clicking the link from the most recent email! Did you use the email associated with to your account? If it could be other email addresses, try those as well. Make sure your internet is working and other emails are coming/going. I no longer have access to the email associated with my Kalix account. 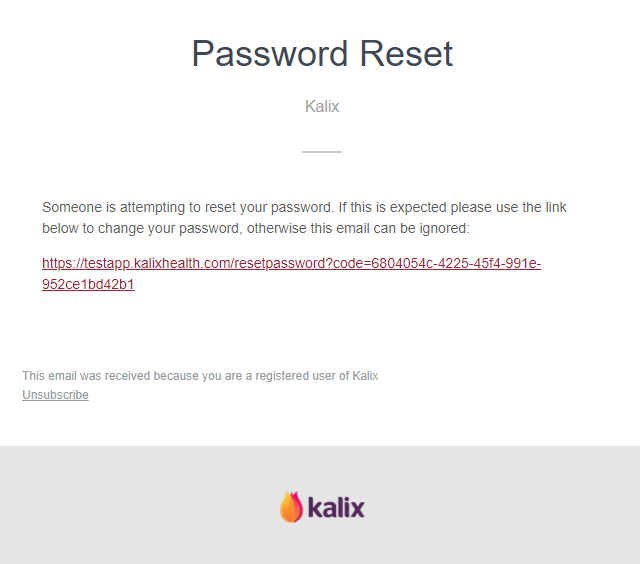 Please contact us at support@kalixhealth.com and tell us: your full name, your previous email and the new email you wish to use.